• Blade storage in handle. 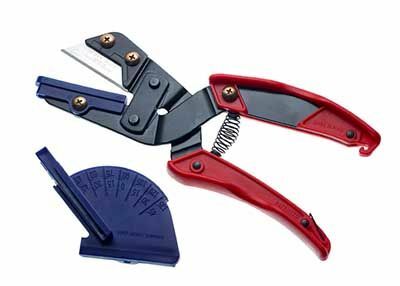 • Produces quick & accurate straight and mitre cuts in wood & plastic strips. • Ensures all cuts are identical. • Fully adjustablefrom 45 to 90 degrees.